and landowners interested in transforming resource consuming landscapes into resource producing landscapes. 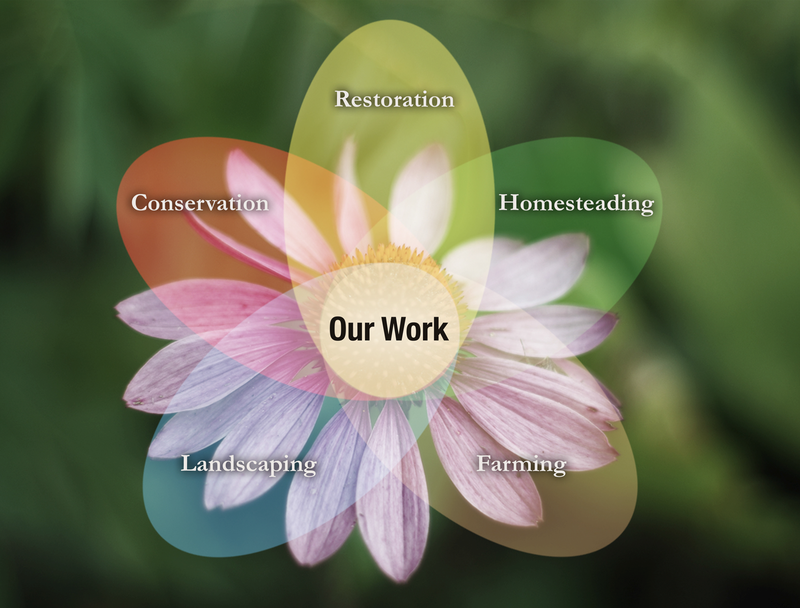 Our mission is to establish resilient landscapes that build biological wealth over time—providing the caretakers and the landbase with enduring value in the forms of nutrient dense food, medicine, recreation, increased biodiversity, ecosystem restoration, and much more. Visit www.rootstofruits.biz to learn more about the company. An example of a Roots To Fruits homestead plan. 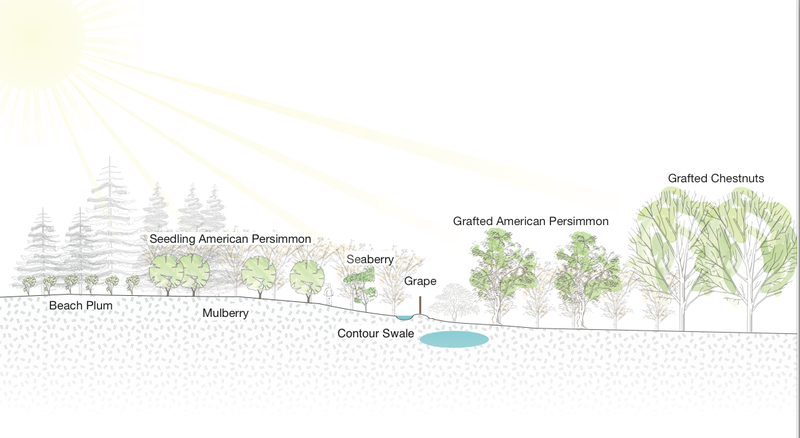 Cross section of a RTF orchard design.